Middle School is the perfect way to document all those awkward pictures, first crushes, or even the changes that occur at that time in our life. It’s summer time! So much to do! So many activities and fun things to fill our days! 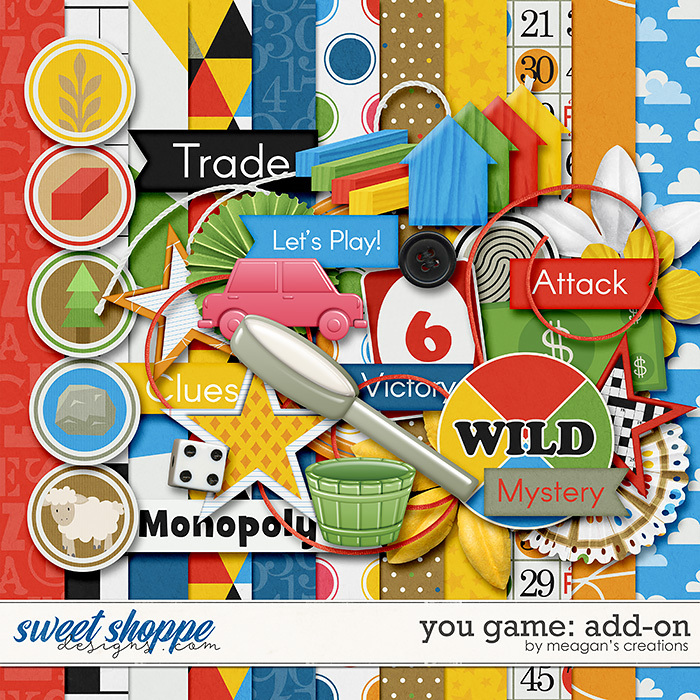 This kit by Brook Magee and Meagan’s Creations is for scrapping the “music” of your summer: lazy days, the drip of the ice cream cone, concerts in the park, the boom of fireworks and more! Cherished memories around the table with family and friends, playing games together, can be scrapped with this huge kit! Several childhood favorites are included in this bright and colorful page kit for all ages! There are so many fun games to play and it’s hard to cover them all in one kit! This is a really BIG freebie because it combines two add-ons I’ve made for You Game over the years! Settlers of Catan, Clue, and more are covered by these fun add-on elements! Click on the preview to download! Next postOldies But Goodies! Foodie- 50% off!